From material testing to environmental monitoring: At the analytica, companies and research institutions from all over the world present their latest developments. 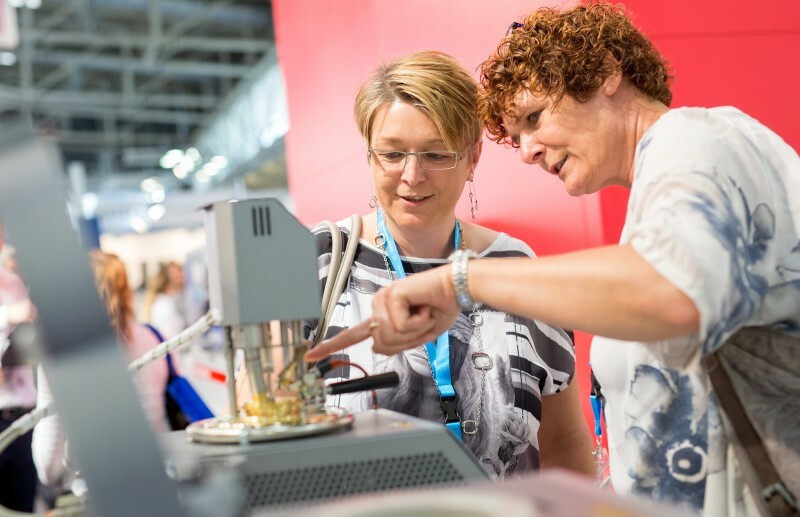 A glance at the key aspects of the international leading trade fair for laboratory technology, analysis and biotechnology shows: Here, trade fair visitors experience technological innovations as well as the latest devices and industry trends. Whether new tools for evaluating Big Data, or networked devices that can be controlled via app: The digital transformation is inspiring all analytical disciplines from industrial process monitoring to food and environmental monitoring. 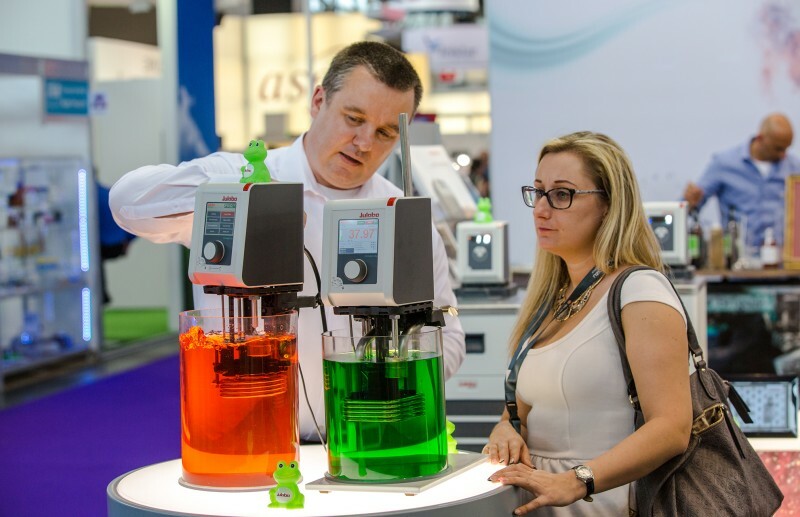 The analytica 2018 therefore picks up on the megatrend of digitization in a variety of ways. In addition to the successful forums Biotech and Laboratory & Analysis, there is now the Forum Digital Transformation with application-related expert lectures and discussion panels. The handling of rising throughput volumes and the ever-increasing flood of data are likewise unifying themes in the program of the analytica conference. The trend towards devices that combine various measurement methods is also continuing. Raman imaging in particular is still on the rise. Exhibitors such as WITec and Jasco combine chemical analysis by Raman spectroscopy with optical information from microscopy. Leica Microsystems, on the other hand, provides light microscopy with a module for laser-induced plasma spectroscopy. This also enables imaging and chemical characterization in one step—handy, for example, in particle analysis. In any case, Raman analyzers are playing an increasingly important role in industrial material and quality control, as they work non-destructively. A Raman spectrometer by B&W Tek analyzes materials even through packaging materials. Renishaw, in turn, has developed a device specifically for the pharmaceutical industry: It combines surface texture analysis with chemical analysis to reveal the distribution of active ingredients and other particles within a tablet. The method is suitable for quality control as well as for development of the optimal formulation of medicines. For non-contact industrial process and quality control, there is also the relatively young terahertz technique available, which uses radiation in the frequency range between microwaves and infrared light. Terahertz radiation is much lower in energy than X-rays are, and therefore not harmful to health. Nevertheless, it penetrates many non-metallic packaging materials. At the analytica, TOPTICA Photonics will present a terahertz system that rays objects on fast-moving conveyor belts. Among other things, absence of information leaflets in drug packages can thus be recognized. Detecting unknown pollutants instead of just measuring already regulated substances: Food and environmental analysts are increasingly pursuing this goal. At the analytica, they will find the complete equipment for so-called non-target analytics and suspect screening—starting with accessories and devices for bioassays, with which adverse effects on the environment and health can be estimated, up to high-resolution mass spectrometers for identification of unknown substances. An example of chemicals that are currently attracting much attention in both food and environmental analysis are poly- and perfluorinated compounds. They are found in disposable coffee mugs as well as in fire-extinguishing agents and many other products. Measuring them is a challenge, as there are still no reference standards for most members of this large class of substances. The exhibitor a1-environsciences therefore couples high-temperature digestion to ion chromatography and determines organic fluorine compounds as sum parameters. The analytica conference informs about further methods for the analysis of fluorinated substances in a separate session. The above novelties show only a small part of the analytica’s wide spectrum. As you walk through the halls, you encounter solutions for all kinds of analytical challenges. For drug analysts, Shimadzu has developed a cannabis analyzer; for life scientists, Thermo Fisher Scientific will present an orbitrap GC-MS system with associated metabolomics library, and for material scientists and archaeologists, the neutron imager at the Photonis booth will be of interest.